I first heard about the original movie, Dolphin Tale, from a homeschooling friend of mine. She told me that it was a pro-homeschooling movie and she thought my kids would enjoy it! She was right! We rented it one evening and before long, we owned the movie ourselves! They also were thrilled to find out my mom was able to visit the Clearwater Marine Aquarium and actually see Winter for herself! Of course they also enjoyed the tee shirts and stuffed dolphin (without a tail, of course) that she brought back from her ventures. My kids hope to visit Winter one of these days! But, until then, they are content with viewing Winter (and now Hope!) on the aquarium's LIVE webcam! 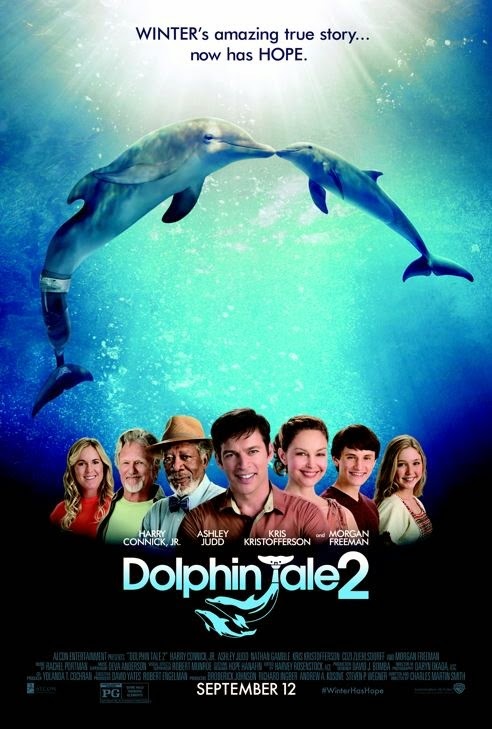 Recently, we have been working on a Dolphin Tale Curriculum found at HomeschoolMovieClub.com! This is a neat site that provides FREE curriculum in the form of Unit Studies to go along with popular movies! My kids are looking forward to trying out the How To Train Your Dragon Curriculum next! One thing that I love about Unit Studies is you can usually use them with children of all ages, at the same time. This unit study was perfect to use with my kids whose grades range from Pre-K to Third Grade. There are different levels that the children can work with, lower and upper elementary, we worked primarily with the lower level. 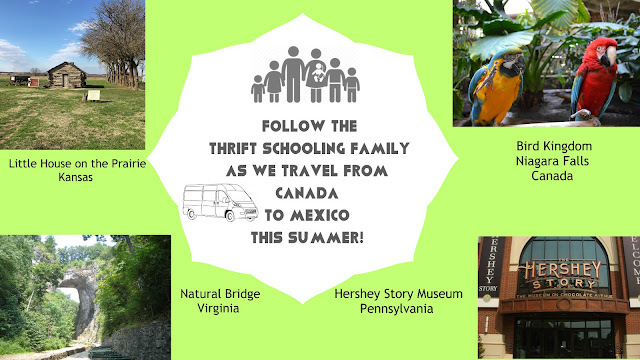 There were five lessons that began with a short introductroy video with a homeschooling dad from the aquarium from the movie! Then each lesson has a downloadable, printable PDF with both instructions for the Teacher/Parent and worksheets for the children. Each day included a different and unique topic that made each day exciting in it's own way. One day the children were learning about pods and had to pretend they were dolphins working together to gather fish! Another day they were labeling the oceans on a world map. I think some of the material stuck in their little minds because the other day my six year old was pretending to ride around on his stuffed dolphin toy saying, "Look Mom! I'm riding around on the dolphin's dorsal fin!" Aside from the 5 day Unit Study there is also a Curriculum (FREE) from Classical Conversations available on the site! Dolphin Tale 2 hits the theaters Friday September 12th, homeschool day! So go ahead and check it out, and why not make a Unit Study out of it while you're at it! Inspired by true events, Dolphin Tale 2 continues the story of the brave dolphin Winter, whose miraculous rescue and recovery, (thanks to a groundbreaking prosthetic tail), made her a symbol of hope and perseverance to people around the world and inspired the 2011 family hit movie “Dolphin Tale.” This film reunites the entire main cast, led by Harry Connick Jr., Oscar winner Morgan Freeman, Ashley Judd, Kris Kristofferson, and of course, the remarkable dolphin Winter as herself. Champion Christian surfer Bethany Hamilton, who has been an example of courage, also appears in the film! It has been several years since young Sawyer Nelson and the dedicated team at the Clearwater Marine Hospital, headed by Dr. Clay Haskett, rescued Winter. With the help of Dr. Cameron McCarthy, who developed a unique prosthetic tail for the injured dolphin, they were able to save her life. Yet their fight is not over. Winter’s surrogate mother, the very elderly dolphin Panama, has passed away, leaving Winter without the only pool mate she has ever known. However, the loss of Panama may have greater repercussions for Winter, who, according to USDA regulations, cannot be housed alone, as dolphins’ social behavior requires them to be paired with other dolphins. Time is running out to find a companion for her before the team at Clearwater loses their beloved Winter to another aquarium. hi -when will the giveaway begin? I tried to enter but it said contest hadn't started yet. Thanks. Sorry! I thought it was set for today but will start tomorrow!!! I want to win because my granddaughter loves Dolphins! I want to win this prize for my daughter, she loves Dolphin Tales. I would love to win this for my granddaughter who loves dolphins. This is a very nice prize. My kids would love to win this!! I want to win because my grandsons loved Dolphin Tale. They can't wait to see Dolphin Tale 2. We love watching family movies with the kids on weekends so this would be perfect. My nepheww loves dolphins so he would love this prize! My daughter loves dolphins and would love this prize pack!! 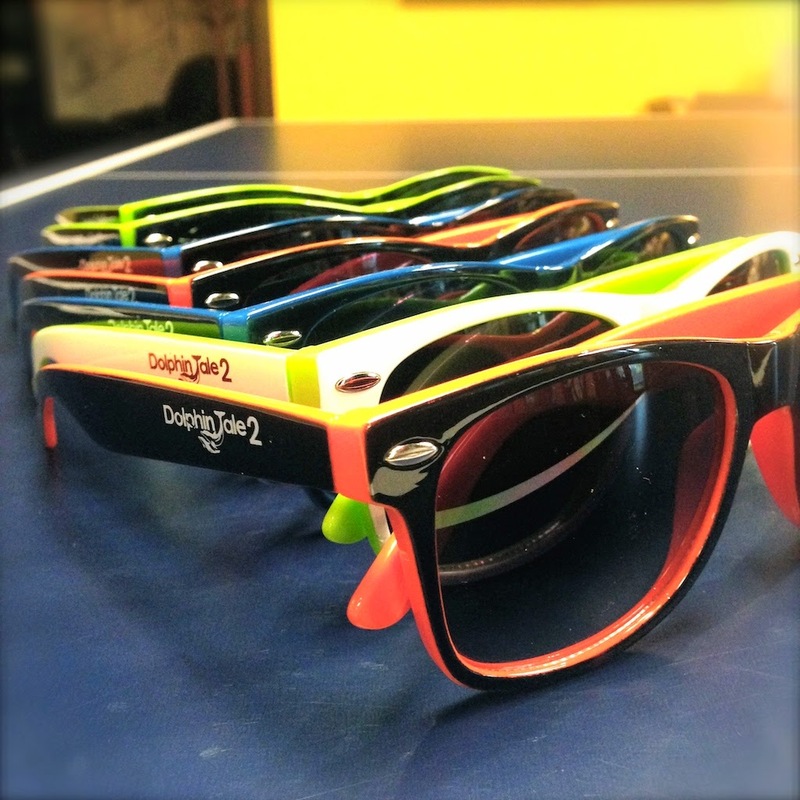 Dolphins are a lovely mammal but he sunglasses look great and I would love to sport them around! Great prize all together! I would like to win because we enjoyed the first movie a lot and I know that my son would like it. 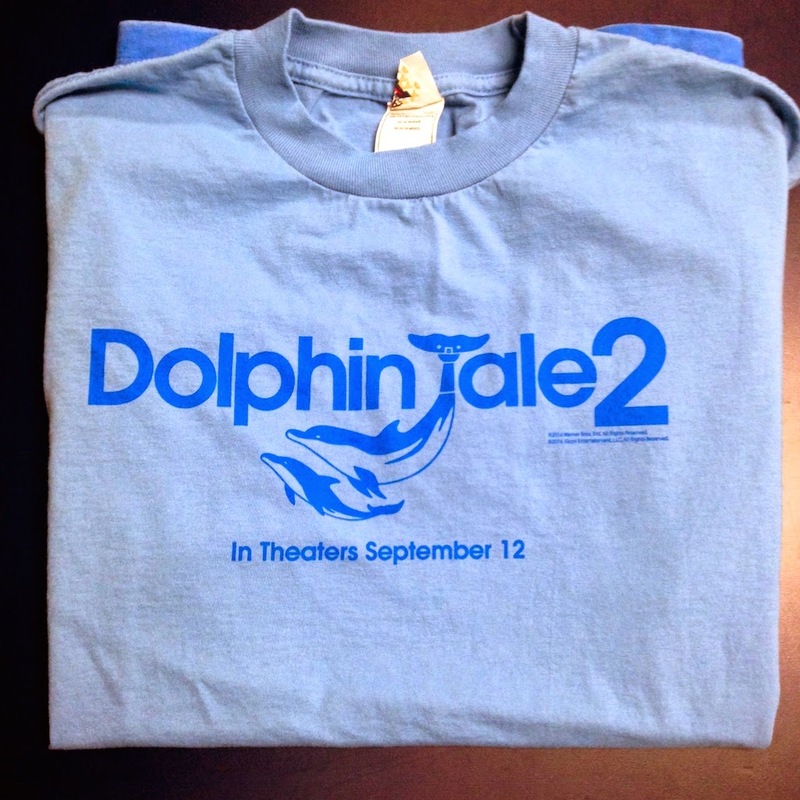 Would love to win b/c Dolphin Tale is one of our fav movies, cant wait to see #2! My son loves Dolphin Tale, we are going to see Dolphin Tale 2 tomorrow morning! I want to win as my whole family of 6 loved the first movie and can't wait to see part 2.I am hoping to take my 4 kids to Clearwater next year to see the dolphins (and other animals). I want to win because my daughter is obsessed with dolphins and she would love this. I want to win because I love dolphins. My kids love sea creatures and this would be fun for them. I would love to win because my daughter and I want to see this movie. It is something we both enjoy. I would love to win because my 3 boys love the first one and cant whit to see the new one !! !